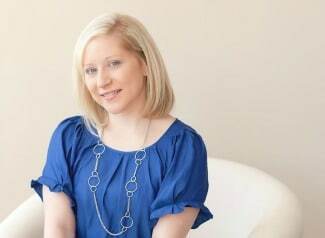 This Darling Baby Girl Baby Sprinkle will have any mom-to-be falling in love with the idea of baby girl shower plans. Taline’s darling baby girl baby sprinkle was planned to celebrate her second daughter, Mila’s arrival. Everything about the day was perfectly planned – from the darling desserts to the custom favors! 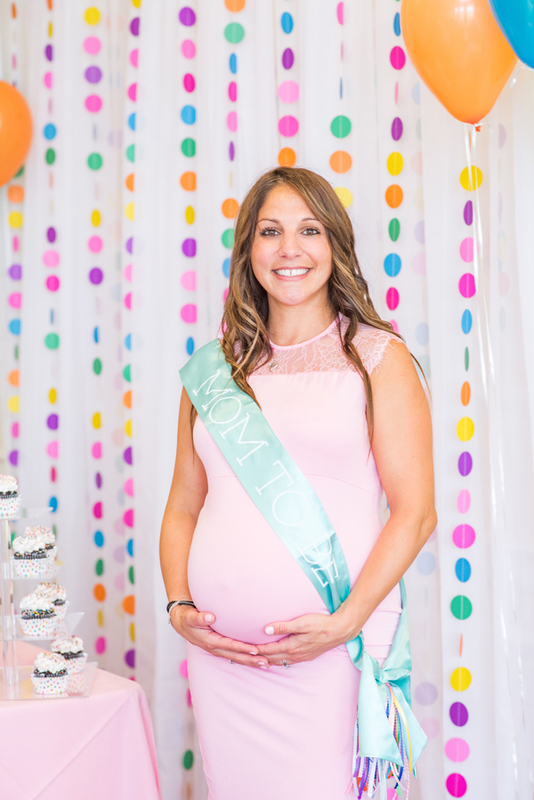 A sprinkle shower is such a great way to celebrate the birth of a baby, especially when the mom-to-be may not want and large baby shower. That makes it a perfect way to celebrate a friend or family member’s growing family! We love it! 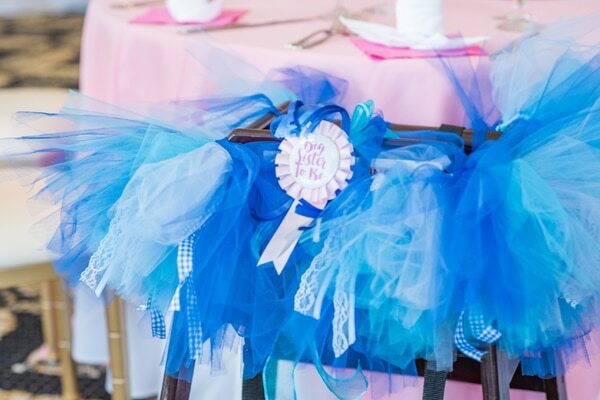 Having a sprinkle baby shower can be so much fun and can be a great way to get everyone together to celebrate the new bundle of joy. How amazing is this dessert table, complete with a pink, ruffled tablecloth and bright, colorful garland hanging from the top?! And of course, the yummy dessert will make all of the guests happy! 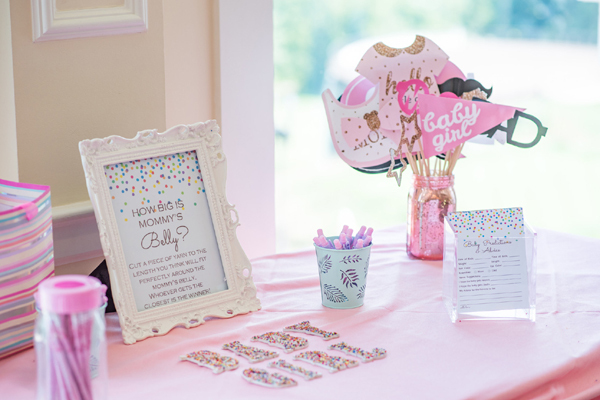 Party Sticklers did an amazing job creating this wonderful event for the baby sprinkle! This baby girl is going to be one lucky lady with a mom so excited to be welcoming her into their family! No baby sprinkle is complete without having mom wear a sash to announce to the entire world that it’s HER big day of celebration! Way to go, Mom! More colorful baby sprinkle decorations were found throughout the shower venue at Trump National Golf Club. 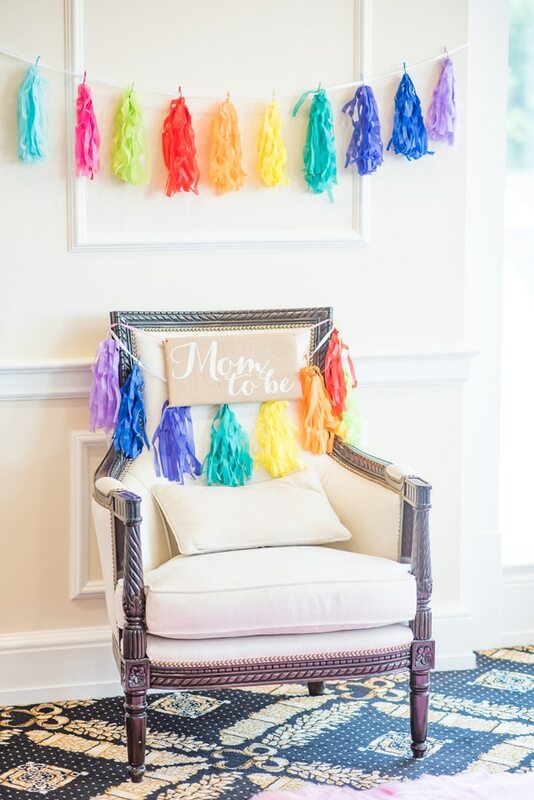 We also love that the mom-to-be had her own throne that she was able to enjoy, while taking in the fun and inviting atmosphere around her. 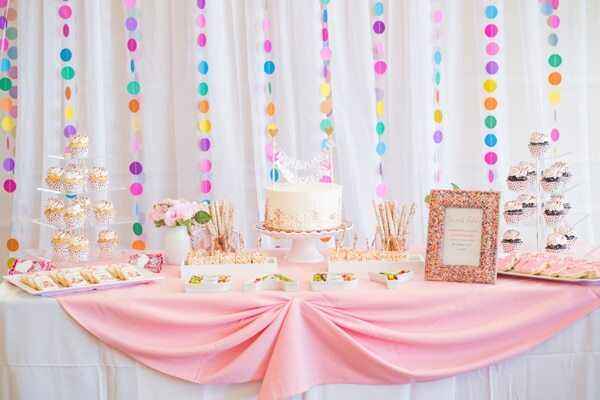 We love great sprinkle baby shower ideas like this one! 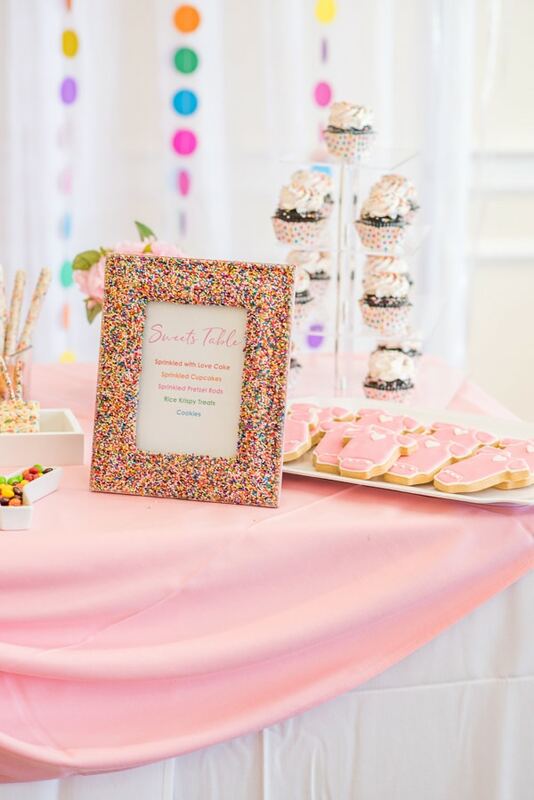 Of course, the sweets table had to be introduced with a great sprinkle-covered picture frame that announced what was available for everyone to enjoy! This is a great DIY project that someone would be able to create before a darling baby girl baby sprinkle! Amphora Catering and Baker did a wonderful job creating the baby sprinkle cake for the event. We love the simplicity of the cake, while still being a perfect creation for the event. 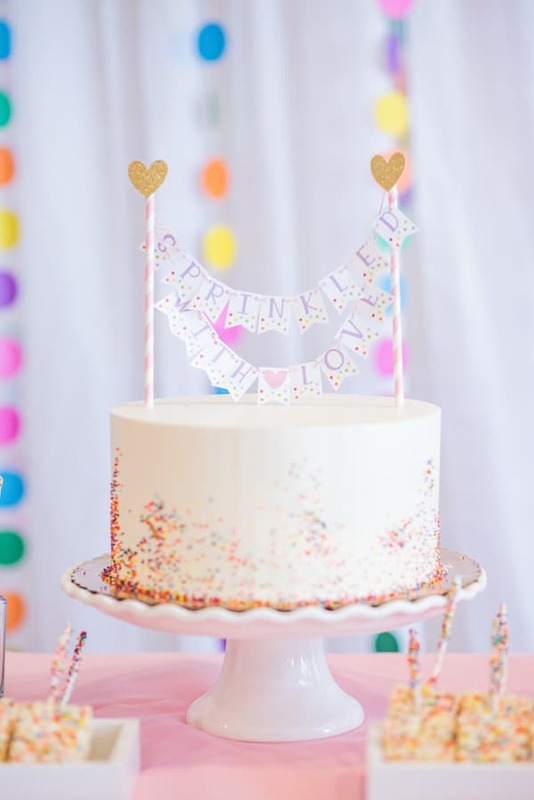 Of course, sprinkles were a part of the cake decorations and the cake topper was a great way incorporate the Baby Sprinkle theme. Gorgeous! 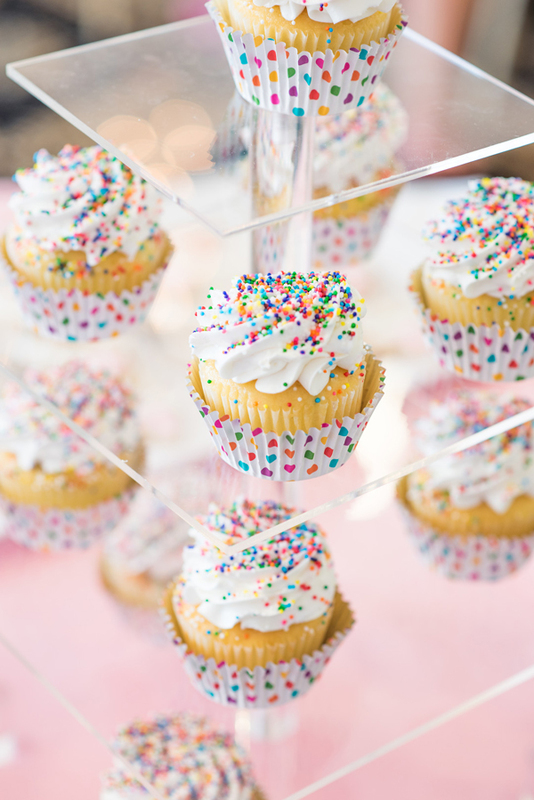 Look at those delicious sprinkle cupcakes! 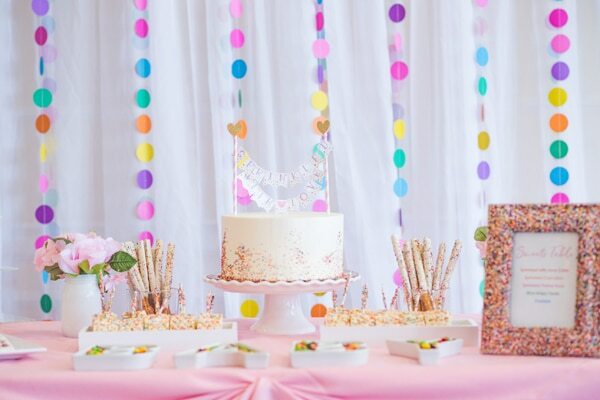 The baby sprinkle food ideas for this baby girl’s sprinkle are on point with colors and sprinkles being a big part of the decorations around the event! Even the cupcake liners were absolutely perfect and complemented the baby sprinkle theme perfectly. Who doesn’t love Rice Krispie treats?! 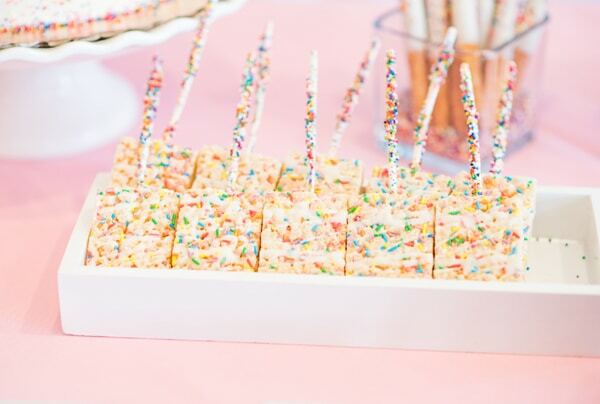 Especially when they are made with some sprinkles included in them, along with great sprinkle-inspired sticks that everyone was able to enjoy their treat with! We just love this theme of the sprinkle shower, as it is a theme that can be easily used to run with ideas for food, decor and activities! We love cookies! 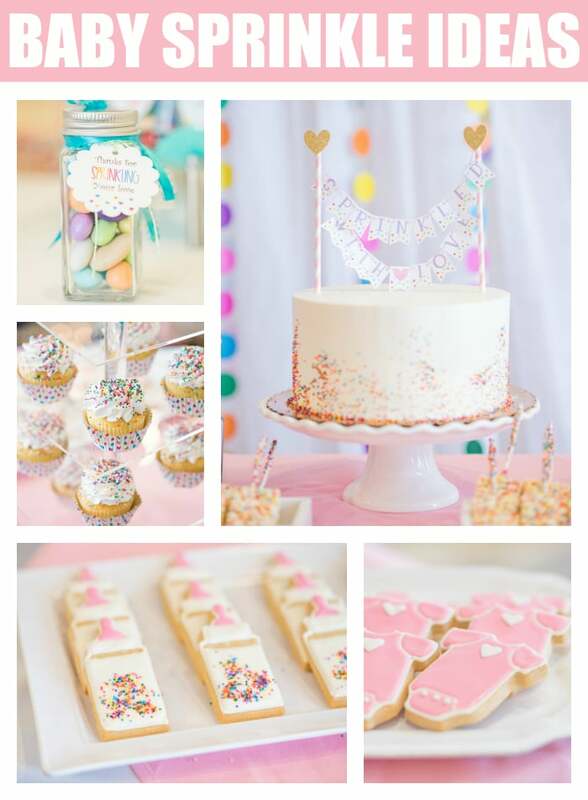 And this Baby Sprinkle included a couple of different kinds of incredibly cute sprinkle cookie ideas! These sweet sugar cookies were shaped like baby bottles, and of course, multi-colored sprinkles were used to decorate the cookies! 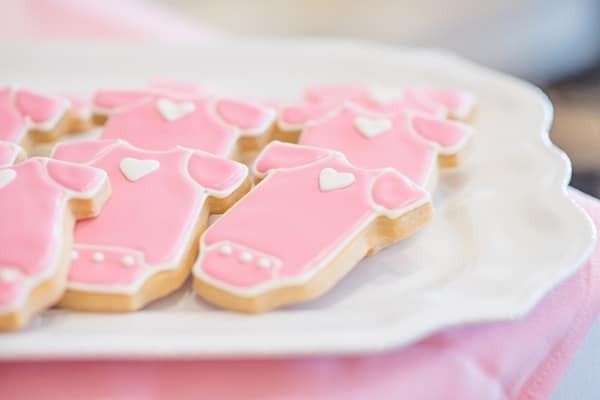 More sugar were created including these cute pink onesie cookies on the dessert table! Adorable! 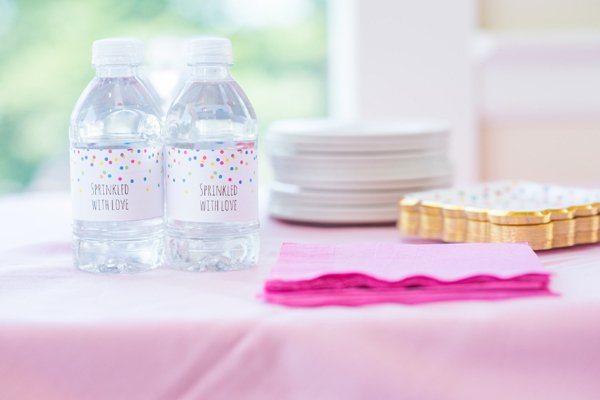 Everything at this baby sprinkle party was sprinkled with love, even the water bottle wrappers! Nothing was forgotten and we love when little details like this are included when thinking of baby sprinkle decorations! 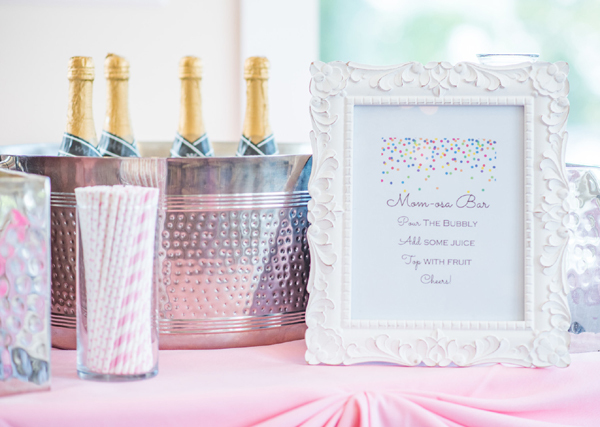 One of our favorite parts of this Darling Baby Girl Baby Sprinkle party is the “Mom-osa” bar that was set up at the venue. Different patterned pink straws were included for everyone to choose from, along with the darling sprinkle sign that was on the table for everyone to see. What a great idea that was fun and inviting! 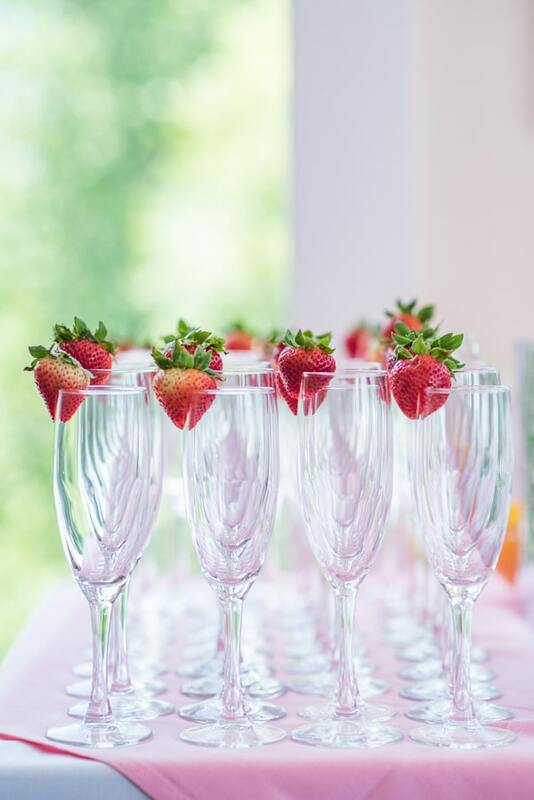 What better way to celebrate the mom-to-be than with a perfect champagne toast, topped with strawberries! We love this classic and beautiful way to toast the Baby Sprinkle and no worries … mom-to-be can have the non-alcoholic version! 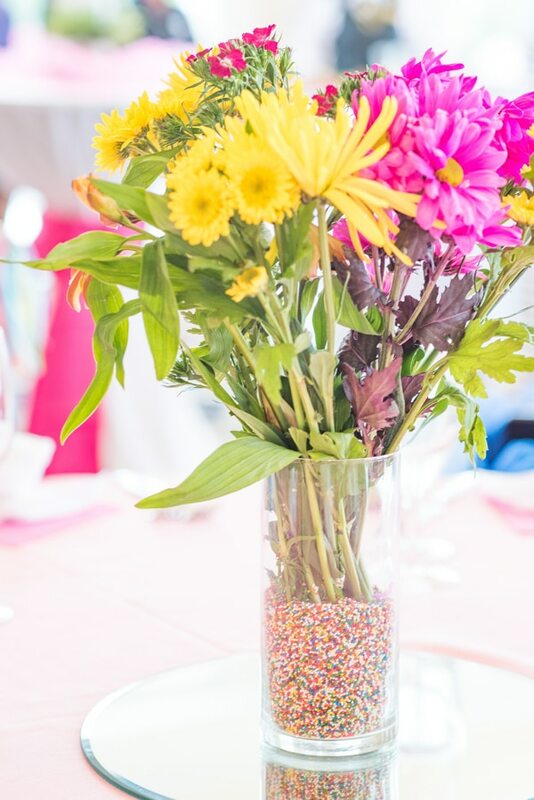 How cute are these amazing flowers, which are in a vase full of sprinkles?! What a great idea for baby sprinkle decorations that are simple and easy to execute. We know how important that can be! Another adorable inclusion at the Baby Sprinkle was the special seat that was set up for the soon-to-be big sister! How exciting for the sibling to be such a special part of a day that will change her life forever, too. 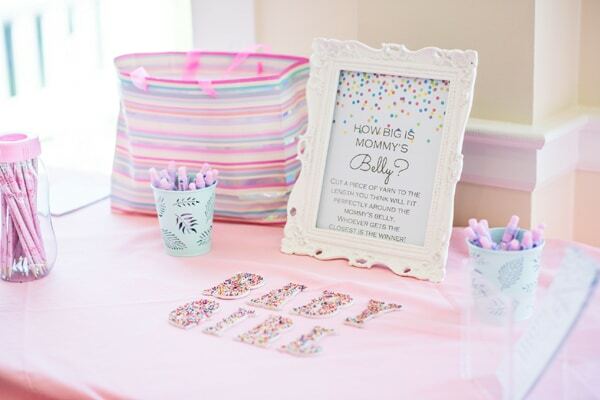 We love the inclusive sprinkle baby shower ideas that were found all around this party! Every party has to have some baby sprinkle games included for all of the guests to enjoy and one great one for a baby sprinkle is to see how big Mommy’s belly is! Of course, you want to make sure that the mom-to-be is comfortable with this type of game, but if she is, it’s all hands on deck for fun and laughs! There were also different picture signs that were available for all of the guests to be silly with for some picture fun! Who doesn’t love posing for some pictures with the guest-of-honor?! On top of all of the other amazing baby sprinkle ideas was the sprinkle baby shower favors that were available for all of the guests. Glass jars full of candy were available for everyone to take home with them. So fun! Everyone enjoys a fun jar full of candy! 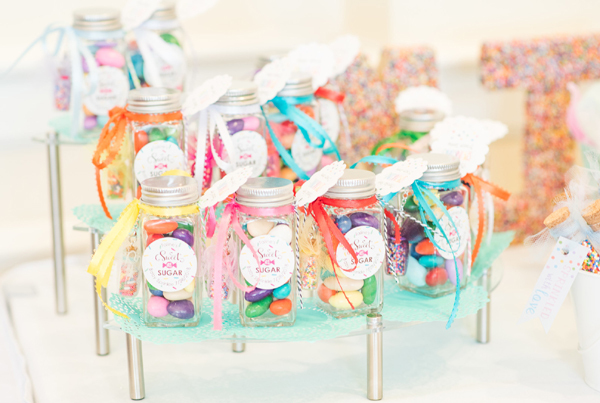 We love the fun and easy party favor idea that is a great DIY project to set up prior to the baby sprinkle. 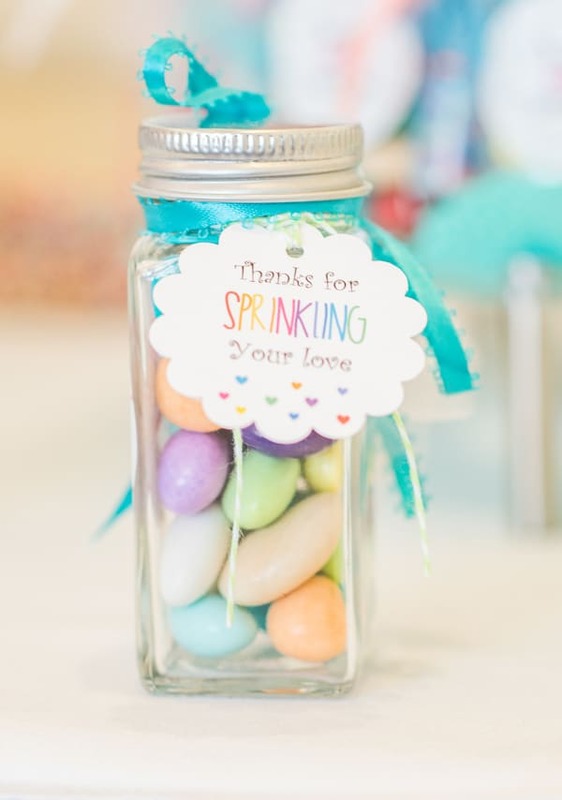 How cute is the “Thanks for Sprinkling Your Love” tag which was included on all of the candy jars that the guests were able to take home?! Mom wasn’t the only one getting sprinkled on that day! 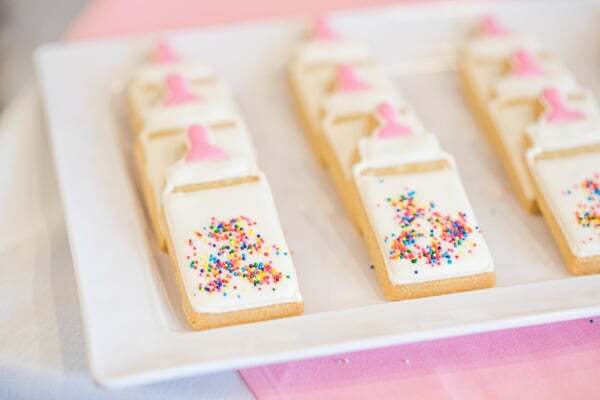 Any mom-to-be would absolutely love having a 2nd baby shower sprinkle to celebrate the pending addition to their family! 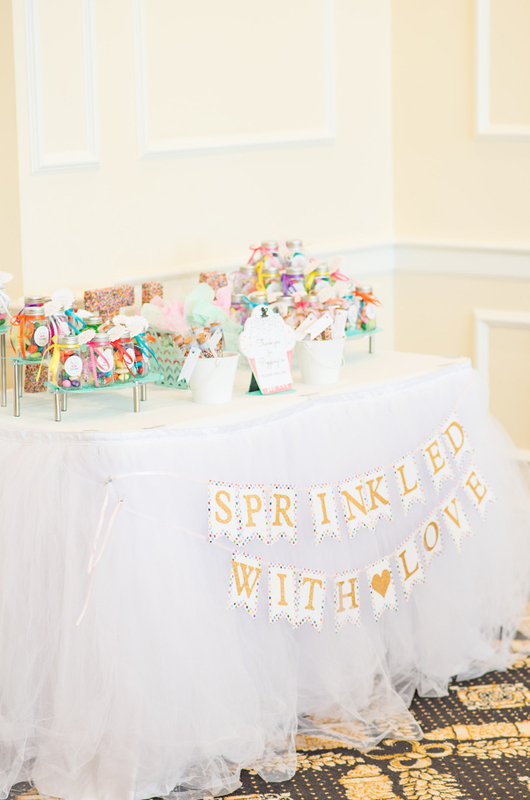 What an adorable way to include everyone in on the big day and we just love the sprinkle decorations that were used. Congrats, Momma! What’s your favorite details in this adorable Baby Sprinkle? Let us know in the comments below!